We have a fantastic afternoon of jumps action this Saturday with some of our potential Champion Hurdlers going on trial in a top renewal of the Grade One Fighting Fifth Hurdle at Newcastle. Samcro, Buveur D’Air and Summerville Boy face off and the winner may well jump straight to the head of the betting for the big one in March, while over at Newbury there is Listed and Graded action with a couple of tasty bets to be had at nice prices. When you win two in a row and are trained by Nicky Henderson these days you’re bound to go off favourite and so that’s where in the market I’d expect to see Lust For Glory come race time. She beat Posh Trish comfortably last time out but I don’t think that will be the strongest form line to follow here, instead my dough will be on this Passing Call at a much nicer price. Alan King’s 5yo completed the hat-trick last time with a simple enough win at Newton Abbot and I don’t believe we’ve got to anything like the bottom of her just yet and she appears to be good value. This is my no means the most confident bet of the weekend, but having handicapped the race I was flabbergasted at Rocky’s Treasure’s early price, coming up at anywhere between 8/1 and 12/1 as betting opened on Friday afternoon. Bang fit having been running and winning throughout the autumn, his form for me holds up well even in the context of this Grade 2 level event and he has every chance of taking care of Le Breuil, Kilbricken Storm and likely short-priced favourite Santini of the Henderson yard. Brian Ellison loves a gamble and let me tell you when the money’s down, he’s not often wrong. That is amplified when backing one of his own at his hometown track of Newcastle so look out if there is significant cash for Windsor Avenue as it may be significant however he will have to improve plenty I feel to beat the selection. Harry Skelton is in toon to ride this one for father Dan and they will be expecting the trip to be made worthwhile. This is only his third run under rules and after he sauntered to a maiden hurdle win last time it’s fair to say we’ll see a much better horse on Saturday and indeed one who should have too much for both Windsor Avenue and Informateur. After the defection of Apple’s Jade to the Hatton’s Grace this hugely important Grade One race has come down essentially to three main candidates in the shape of last year’s winner and dual Champion Hurdler Buveur D’Air for Nicky Henderson, Gordon Elliott’s Samcro and Tom George’s Summerville Boy. Buveur D’Air is set to be a short price to follow-up last year’s win at Gosforth Park and is sitting on an 11-timer, though with nothing too much to likely be drawn from the fact he’s had a wind operation since last running it’s possible to spot both negatives and positives in him. He’s unbeaten since the Cheltenham Festival in 2016, has proven his liking for running round here and goes well fresh. He won this race in a canter last year but in fairness he was a 1/6 shot to do it and the only thing about coming in as the Champion Hurdler in this case is that he really had to stretch to do it and that means we know his level of ability. Summerville Boy was also last seen winning at the Festival, this time in the Supreme Novices’ Hurdle and that form alone wouldn’t entitle him to get past the jolly. He may even want a tad further as he gets older, though the stiff finish and soft ground may be in his favour in that regard. Samcro is the one that most interests me though on the basis that, unlike the admittedly very smart Buveur D’Air, we don’t yet know quite what level he can reach. The form he has achieved puts him not too far behind and undoubtedly there is some improvement to come. He was second at Down Royal on his reappearance which was disappointing for connections, but that form is good so bearing in mind he was expected to do way better, will have come on for the run and was facing ground a lot faster than ideal tells me we will see a different, much better horse today. I would take great pleasure from seeing Original Choice winning here and we did tip him up last time (always the way! ), though connections no doubt couldn’t have banked at this level on having to deal with something like our selection, Salute The Soldier. Clive Cox’s horse has thrived since being gelded winning a handicap at Chelmsford before following up in equally cosy fashion next time at Kempton and his versatility will be tested further as he tries this surface at Wolves. I reckon he’s well clear of the handicapper and as such should win this, though in behind the form of Original Choice is clearly among the strongest in the line-up so I wouldn’t put anyone off perhaps a reverse forecast on the two runners. 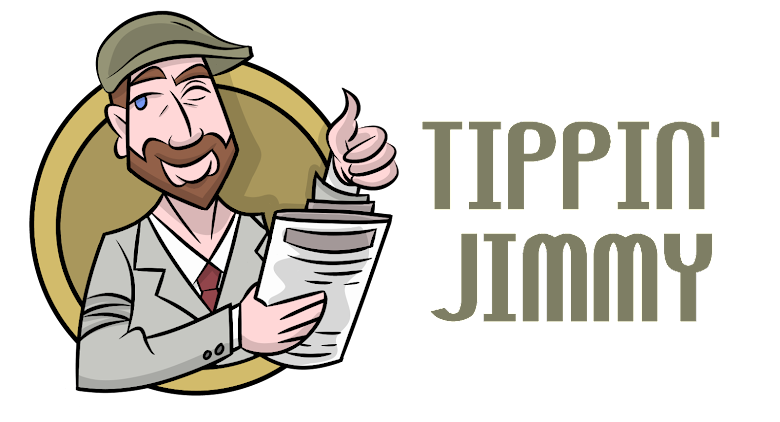 Tippin' Jimmy. Simple theme. Powered by Blogger.